Do you like changing default UI fonts on Gnome Shell? If you prefer a uniform look and feel on your desktop, then you have to follow a couple of steps to get them right. Using Gnome Tweak Tool, you can change fonts for most UI components and apps on your desktop, except for Gnome Shell (including top panel). The fonts setting in Gnome Tweak Tool doesn't affect Gnome Shell unfortunately. 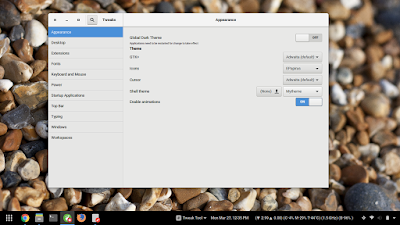 To change fonts for default theme in Gnome Shell, follow the steps. Run the command below to make a new Gnome Shell theme folder. You can name it anything, for now its "mytheme". Create a new file "gnome-shell.css" inside ~/.themes/mytheme/gnome-shell/. Edit the file and put the code below in it. Change the font family and size to your taste. Save the file, hit alt+f2, type r and press enter key to restart the Gnome Shell. 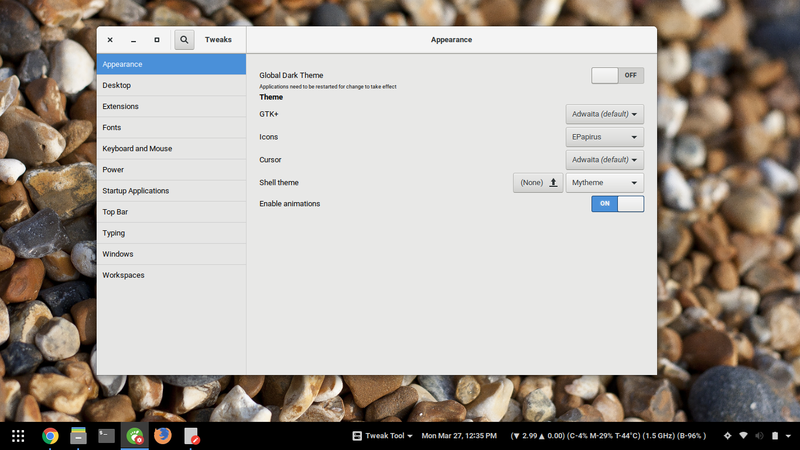 Now use Gnome Tweak Tool to Switch to "Mytheme" (user theme extension must be enabled). 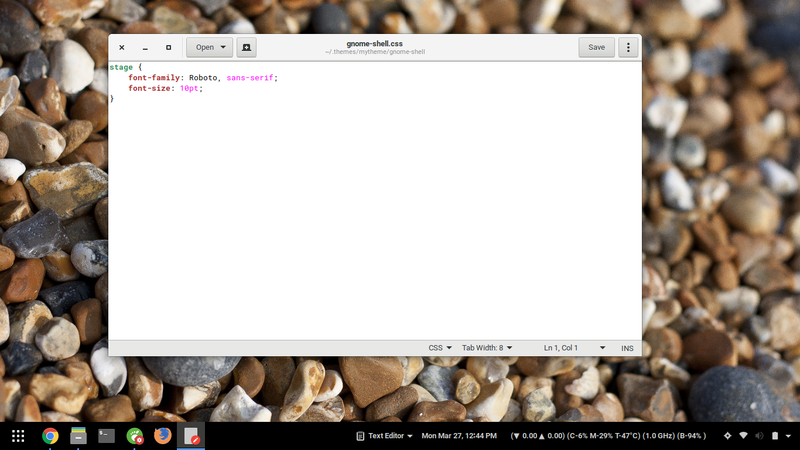 Thats it, the default font for Gnome Shell theme has been changed now. Do note that top panel size depends on the font size you decide in the code above. To change font in third party Gnome Shell themes, follow the same process. Just append the above code at the end in "gnome-shell.css" file in theme subfolders.